THE HSE SPENT more than €600,000 on debt collection agencies last year, hired to chase up patients who had not paid their medical bills. Figures released to TheJournal.ie through a Freedom of Information request show the HSE paid €602,934 in total to debt collection agencies last year. Up until June this year, the health service provider had spent €281,391 on debt collection firms. Earlier this month the Irish Cancer Society called on the government to abolish inpatient charges for cancer patients in Budget 2019. Patients are required to pay €80 for an inpatient visit, including day cases for cancer treatments such as chemotherapy. More than 5,000 people have now signed that petition. Speaking to TheJournal.ie, Paul Gordon, policy and public affairs manager for the society, said the pursuit of patients for these bills can be a cause of stress for people during their period of treatment and in recovery. “It is HSE policy that after seven weeks, if a fee has not been paid, it is either referred to a debt collection agency or to a legal agency. That can be quite worrying for patients if they are getting a final notice or a letter telling them it has gone to a debt collection agency. This is at a time when they are particularly emotionally and physically vulnerable but also financially vulnerable. It can be an unnecessary worry. Gordon said the HSE can waive a fee if it is considered undue hardship but many people are not aware of this power of discretion. 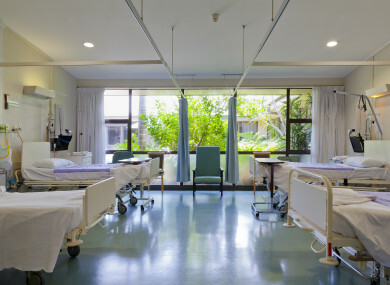 The charge for an Emergency Department attendance is €100 and it is €80 for an overnight stay – the latter charge is capped at €800 in any 12-month period. Cancer patients receiving treatment are considered inpatients and are therefore charged €80 each time. Although there is an €800 cap, Gordon said this can still be a significant burden for a family. According to research by the Irish Cancer Society, the average cost to a family for treatment is €340 a week – this includes travel to and from the hospital, childcare, GP visits, medication and the hospital charge. He pointed out that there is often a significant loss of income for patients during treatment and in recovery. Marie Moran, a breast cancer survivor who was diagnosed when she was 32 weeks pregnant commented recently on the anxiety she experienced in relation to her treatment bills. HSE-run hospitals were owed more than €40 million in unpaid fees at the beginning of last year. This did not include the €145 million typically owed by health insurance companies to cover private patient treatment in public hospitals. The highest spend on debt collection agencies so far this year of €52,767 has been at Cork University Hospital. University Hospital Galway has spent 19,294. Sligo Regional Hospital has not spent any funds this year on debt collection agencies and only spent €2,999 last year. Hospitals outside the HSE group also engage the service of debt collectors for unpaid bills. In 2017 Beaumont hospital incurred costs of €202,467 in respect of debt collection services and for the period January to June 2018 it paid out €100,675 to companies. The National Maternity Hospital in 2017 spent €10,650.87 and so far in 2018 it has spent €5,498,21 on debt collection. The Rotunda Hospital told TheJournal.ie that it paid €7,556 to LCMS and €865 to Ivor Fitzpatrick in last year for debt collection services. The hospital has so far this year paid €2,041 – €110 of this was to Ivor Fitzpatrick and the balance was to LCMS. In a statement, the HSE said it has a statutory obligation to charge and collect these charges. It also said hospitals have the discretion to operate payment plans, where appropriate. “There are facilities for patients to pay directly, when the patient attends at the emergency department. “Upon discharge the patient receives an invoice and in some cases a reminder, the follow-up for payment can then be forwarded to specialist debt management services, as outlined in the National Financial Regulation (NFR) 25. It said these charges are separate from the private patient charges which are predominately collected from the health insurance companies. Email “HSE spent €600,000 last year on debt collectors to chase patients for unpaid bills ”. Feedback on “HSE spent €600,000 last year on debt collectors to chase patients for unpaid bills ”.